Do you think it’s appropriate for any member of Congress to speak to a hate group? If the answer is, “no,” then Steve Scalise should lose his leadership spot after it was revealed that he spoke to a hate group in 2002. Even if you cut the Democrats a break for associating with race baiters like Al Sharpton and La Raza, there are Democrats who associate with Louis Farrakhan and Jeremiah Wright’s church who could very fairly be called anti-white. Should a Democrat who associates with Louis Farrakhan be in any kind of leadership position? Absolutely not. Is a man who went to Jeremiah Wright’s church fit to be President of United States? Absolutely not. For that matter, is a man who associates with a terrorist like Bill Ayers fit to be President of the United States? Absolutely not. 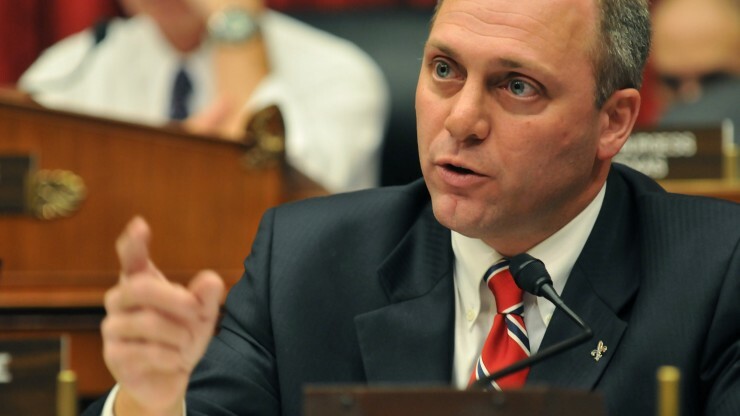 So, if they’re getting a pass, why shouldn’t Scalise? Because this isn’t some “gotcha” criticism. It is genuinely offensive for a Republican politician to try to appeal to a hate group. Scalise shouldn’t have done it; like every member of the current GOP leadership, he’s not worth fighting for and perhaps most importantly, aren’t we genuinely better than the Democrats? I’d like to think so. They’ll embrace a KKK member like Robert Byrd if it’s to their advantage, but we shouldn’t support a politician who courts members of hate groups. In the short term, it can be tempting to get right down in the sewer with the Democrats, but over the long haul, if there’s going to be a decent, honest political party, it’s going to be us. To do that, we do have to police our own on occasion. We should do that now by taking Scalise’s leadership spot. Whether that will actually happen or not is hard to say, but it should. After all, the problem with Washington certainly isn’t that we’re too quick to get rid of politicians who don’t deserve to represent us. PS: If Scalise were to go, Jim Jordan, Raul Labrador or Jeb Hensarling would all be upgrades.